Fr. Rolando De La Rosa OP was the Rector Magnificus of the University of Santo Tomas from 1990 to 1998 and again from 2008 to 2012. He was, at one point, Chairman of the Philippines' Commission on Higher Education. MANILA, Philippines — A Few years ago, when the former Archbishop of Jakarta visited Manila and stayed in the University of Santo Tomas, I asked him jokingly: “Your Eminence, since you are a Jesuit, why do you choose to stay in UST, and not in Ateneo?” He smiled and said: “You are very naughty. Well, to be honest, I choose to stay here and not there because I am a Catholic.” At that time, I assumed that the good Archbishop was joking. 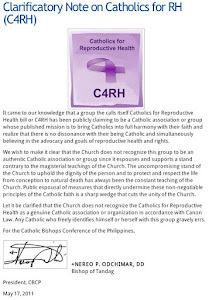 The widely publicized opinion of the 192 Ateneo teachers that goes against the stand of the Catholic Bishops’ Conference of the Philippines on the RH Bill reminded me of the Archbishop’s comment. Was he insinuating something? In the Apostolic Constitution on Catholic Universities, Ex Corde Ecclesiae, Pope John Paul II declared categorically that every Catholic university, without ceasing to be a university, has a relationship to the Church that is essential to its institutional identity.” In other words, “Catholic” is not just a label given to a school. It is a badge of identity that sets it apart from other schools and which endows a university a special bond with the Catholic Church “by reason of service to unity which it is called to render to the whole Church.” It is clear from this that a Catholic university has the mission, not only to instruct, do research, and perform community service, but to maintain UNITY within the Church. This task is quite crucial today when the faithful are torn by conflicting issues, parties, ideologies, beliefs, and causes. The principle of private judgment which John Henry Newman calls the principle of disunion when conceived in opposition to the judgment of the teaching office of the Church has been popularized by media as the norm for expressing one’s opinion. Catholic universities do not render their service to unity by allowing their members to widely publicize, in the name of academic freedom, opinions that run contrary to the official stand of the Catholic Church on controversial moral issues. Once ideas are written and published, they acquire a life of their own, regardless of the good intentions of the authors. Ex Corde Ecclesiae continues: “One consequence of its essential relationship to the Church is that the institutional fidelity of the Catholic university to the Christian message includes a recognition of and adherence to the teaching authority of the Church in matters of faith and morals.” More importantly, the document obliges members of the university community to manifest a personal fidelity to the Church, and this implies adherence to its teachings. Every Catholic university worth its name teaches that part of the teaching function of the bishops is precisely to make pastoral judgements on doctrinal and moral issues. 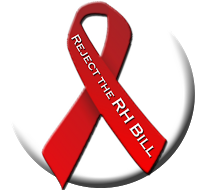 It is, therefore, never enough for a Catholic university to declare its adherence to the CBCP position on the RH Bill. It must see to it that its teachers do not uphold the contrary position. Already, one newspaper labeled this state of affairs as the separation of the Church and the academe. 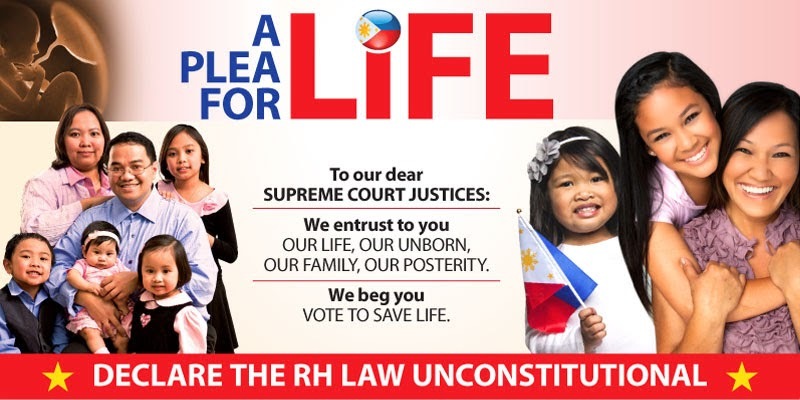 Just like the people who love to parrot the dictum: “separation of Church and State” to justify their contention that the Church should stay away from politics, now self-styled advocates of the RH bill use the same dictum to redefine the bishop’s teaching function in the Church. They do not want bishops to denounce, but simply adapt. They want the bishops to bow to politicians and intellectual midgets who steal religious phrases to decorate their crackpot policies.